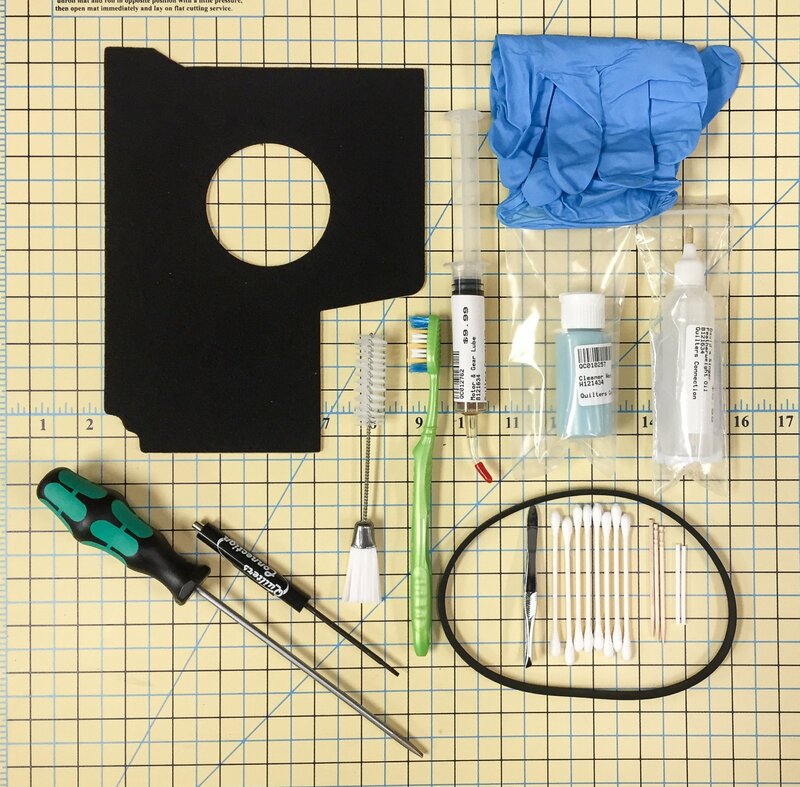 This is our full maintenance kit that we use when we teach our Featherweight Maintenance Class. This is everything you will need to service, clean, and polish your Featherweight. The screwdrivers are specially selected to fit the essential screws on the 221 and 222 Featherweight. The small black screwdriver fits the gib screw, bobbin case tension screws, and will work on the motor pulley screw. Once you service your machine you will then have the tools, lubes, and brushes you need to do almost any future work on your FW. Note - If you have a 222 let us know and we will substitute the correct drip pad.